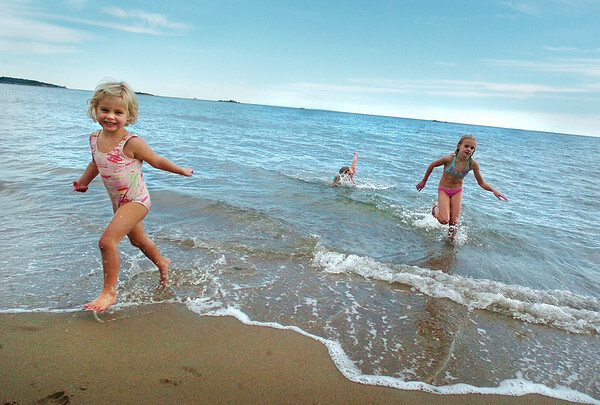 Manchester: Suzy Morten of Manchester, 4, left, and her sister Fraley, 8, run out of the water at Singing Beach Wednesday after a quick dip. At center, partially submerged, is their friend, Eliza Logue, 8. Suzy and Fraley's mother, Tory, said they go to the beach regularly. "It's such a beautiful beach," she said. "All times of the year." A new five-member Singing Beach committee met for the first time Wednesday night to discuss the issues facing the popular Beach.